There’s one phrase Sue Bryce has a hard time saying without crying. Although she’s never lost a parent, the internationally-renowned photographer tears up each time she says that line. While shooting a video in her office, Sue repeated the line over and over, her eyes filling with tears every time she said it. She feels so passionately about the topic, she gets emotional each time she thinks about it. Like many others, Sue has spaces of time throughout her life where no photographs of her are available. As a result, she has personally seen the gaps that can be left by such a decision. She went through a period of her life where she wouldn’t allow herself to be photographed because she was unhappy with herself. Portrait photographers often feel as though they are in competition with each other, especially in smaller communities. But Sue Bryce has created a movement that she hopes will bring the industry together for one common goal. She wants to emphasize to people the importance of “existing in photographs,” helping them understand that this will be a legacy they’ll leave behind for their children and their loved ones. Portrait photography isn’t about the photographer. Nor is it about building a Facebook following or making a name for yourself. The real goal is to take stunning portraits that people will look back on 20 years from now and say, “This is more priceless than anything we own.” That is what photographers are creating. Sue has issued a challenge to photographers across the world to use the hashtag #ExistInPhotographs to encourage people to have beautiful photos taken on a regular basis. She wants this message to be spread globally in an effort to help people realize that they are good enough to have a photograph taken or be in a family portrait. Sue’s passion clearly comes through as she speaks on this subject. She sees the importance of leaving a visual legacy behind for children, grandchildren, and great grandchildren to enjoy. Her goal is to encourage people to celebrate their lives, in the moment they are in right now. 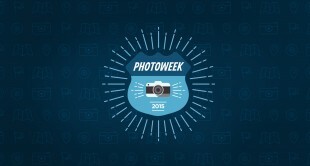 Get more great insights from Sue Bryce at this year’s Photo Week. Bryce will be one of the many talented photographers sharing insights and tips during the event.